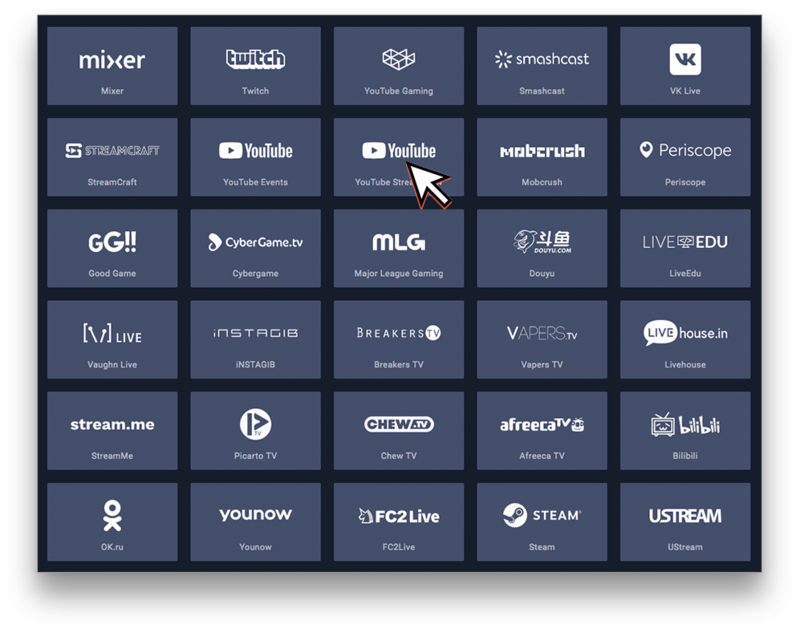 Note: If a service you want to stream to is not listed, or if you want to stream to a listed service more than once - like two YouTube channels - you will need one of our paid plans. Who needs a paid plan? 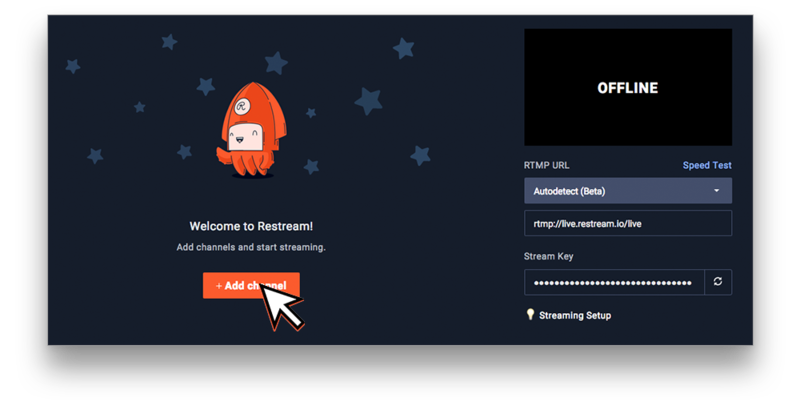 To add a channel, you will want to start from your Restream Dashboard! From there you will want to click on "Add channel." You will see a list of our supported services appear, click on one you are wanting your stream to reach. In this example, we will use YouTube Stream Now. Depending on your channel, you may see something different than we have here. Most channels support an automated setup (the colored button) and some channels only support manual setup (gray button). You should only use manual if there is a problem with the automated system, or if that is the only option for your channel. In the case of YouTube Stream Now we will use the automated system. You will then be redirected to the channel's website to authorize Restream access to your streaming credentials so we can start a stream. Review the permissions and click "Allow!" You are now ready to setup your streaming software! We will cover multiple software options, and how to set them up! We will also make sure that we tune the stream to your networks capabilities to eliminate any issues!